"As the welcome nugget weighing 2217 ounces exceeds in purity and value any lump of gold ever found, so this brand surpasses in quality any tobacco made." 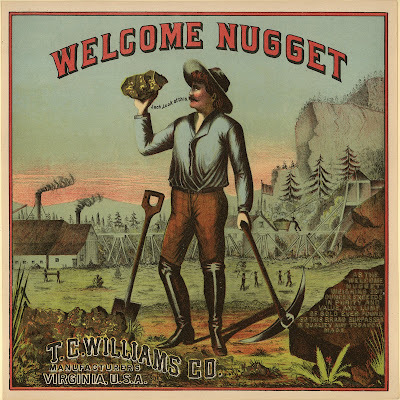 The prospector, harkening back to the days of the California gold rush, holds the huge nugget and says, almost nonchalantly: "Jack, look at this." The cigars, no doubt, were really golden deals.